Keen sluice, RDH Header Bx. 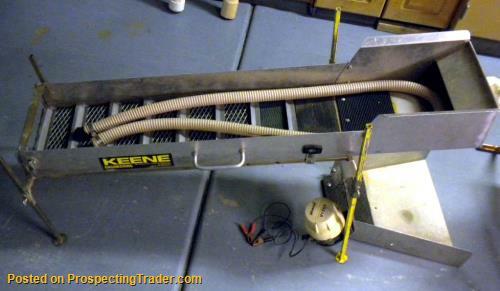 Keene A-52 Sluice 51" long X 10" wide x 4.5" high includes a large 18" wide flare. Mounted on an attached adjustable stand, each leg is independently adjustable for leveling or setting any angle on any terrain. Legs are re-moveable. 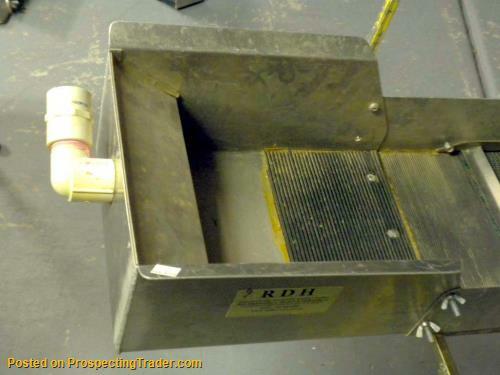 The Power Sluice Header Box is by RDH and the pump is an Atwood 1250 and includes the hose.